Double cleanse has been my favorite go-to cleansing method for years. After discovering it while reading an English translation of a Japanese magazine almost 3 years ago, I just had to try it. I have acne prone skin and was looking for any and all ways to get rid of it. I was desperate. Although I was skeptical at first, this tried and true method is one of my must haves in my skincare routine. It doesn't fully get rid of acne but it does help. I've always used the Shiseido Cleansing Oil but lately it's been neglected since I'm in love with the Banila Co. Clean It Zero. 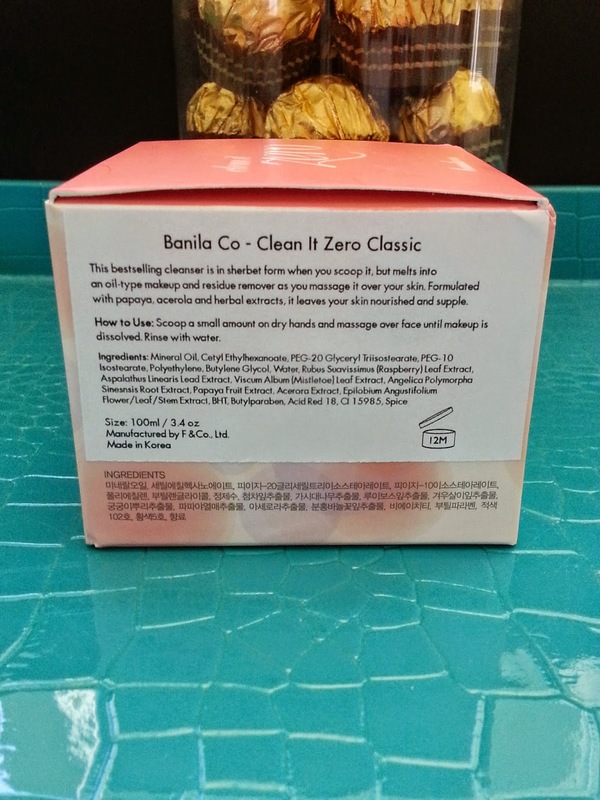 I got the Banila Co. Clean It Zero when I purchased the Peach and Lily Seoulcialite box. 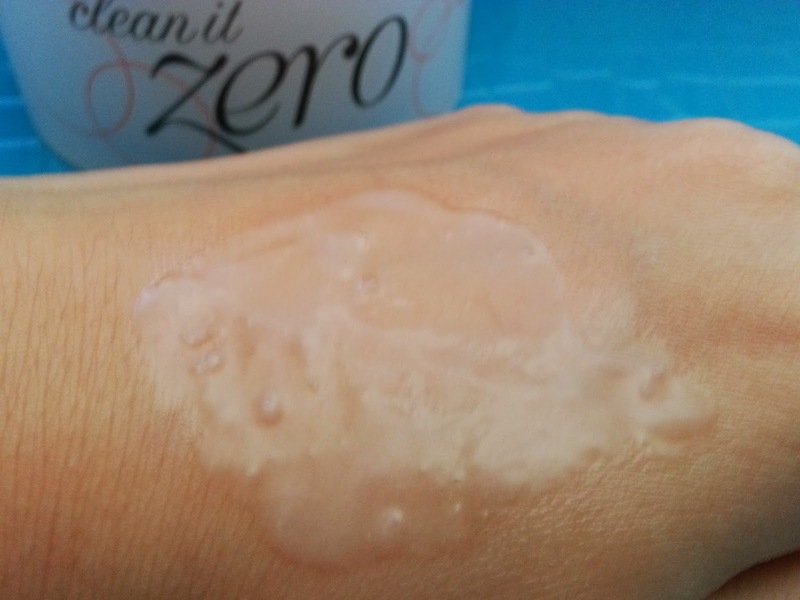 So many bloggers and friends were raving about the Clean It Zero, I didn't give it a second thought and allowed it to take Shiseido's place in my routine. 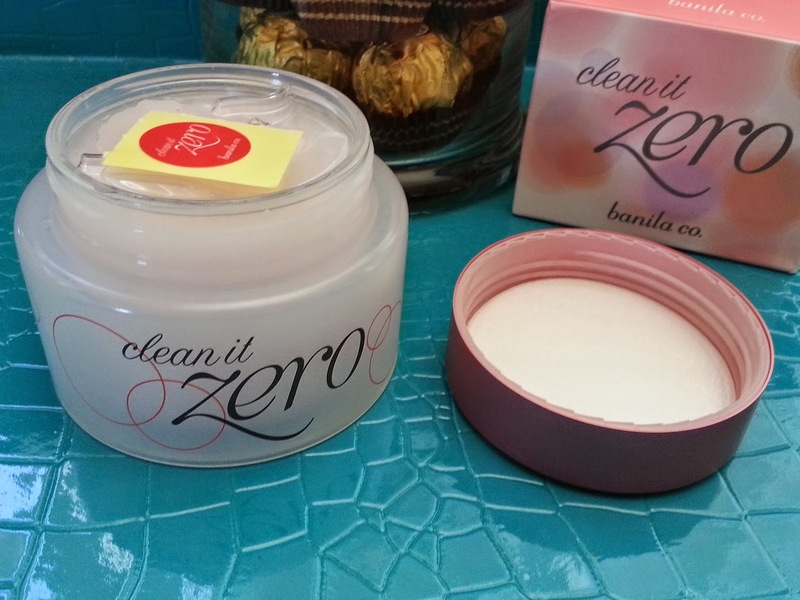 Today I will review the Banila Co. Clean It Zero and share with you all why I love it so much. A sherbet textured cleansing balm that melts into its oil form once applied. It's a cleansing oil that promises to cleanse away makeup, oil, and impurities on the skin. It also promises to cleanse the skin without striping it of its natural essential oils and it won't leave behind any greasy residues either. To use, scoop a small amount on dry hands and massage it gently over the face. (Make sure the face is dry before applying!) Rinse off with water. The most notable ingredient for this product has to be mineral oil, which is first on the ingredient list. There are many positives and negatives toward the use of mineral oil in skincare. I don't know enough to say whether it's truly good or bad. However, I will say that it has not caused me any issues. Since some people avoid mineral oil like it's the plague, I thought I'd mention it just in case. For those who are unfamiliar with the double cleanse method, it's a 2 step cleansing method. The first step is a oil cleanser and the second step is a foam cleanser (for oily,combination and normal skin) or milk cleanser (for dry skin). I can write an in-depth post on it if anyone needs it. Just let me know in the comments below. 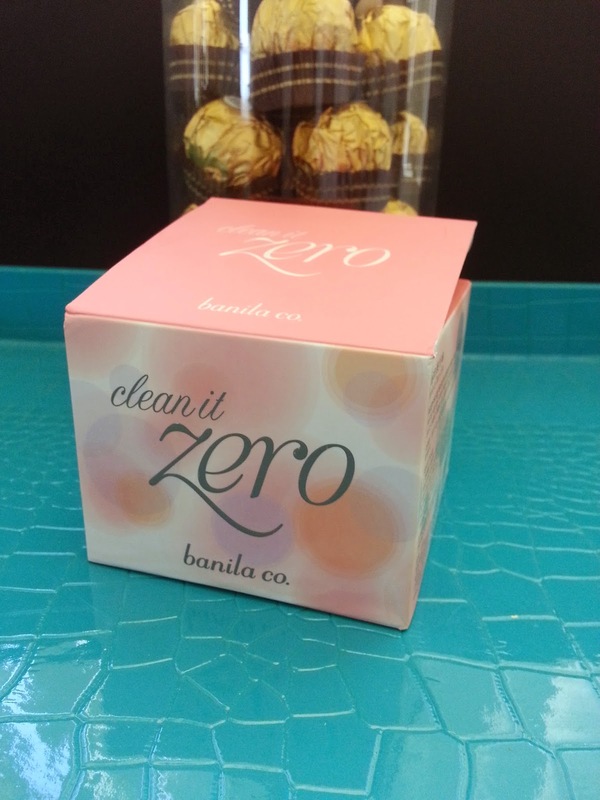 The Banila Co. Clean It Zero comes with its own spatula. So there's no excuse on being lazy and sticking any fingers in there. Maybe, unless they are clean fingers? But I just have a thing against fingers and tub products. Anyone else out there feel this way or is it just me? I love the packaging of this product. It's cute and lively. Plus it comes with a sticker! Haha, I have no idea why. 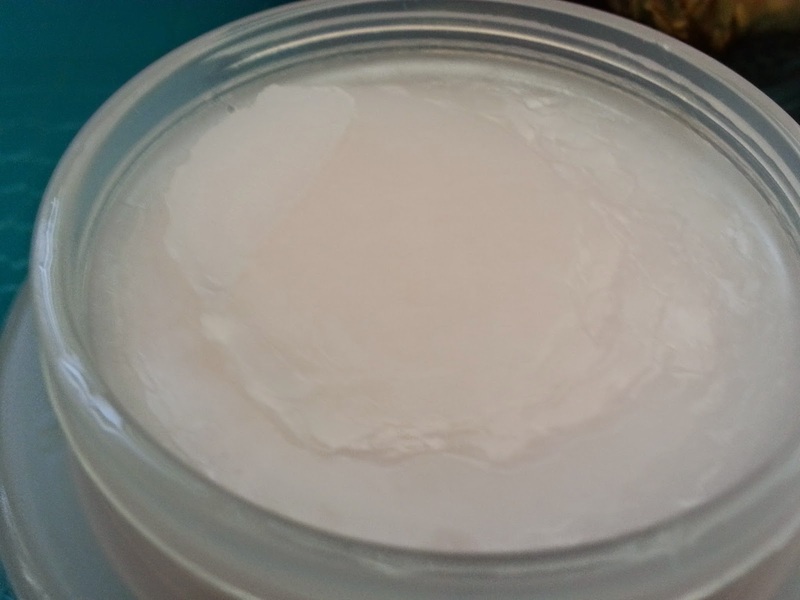 Here's a picture of the cleansing balm when you first open the package. It doesn't look this neat anymore now that I've used it for 2 months. If you couldn't tell by now, I am telling you now. I love this product! For this product, a little goes a long way. So this tub will last me quite a long time. For $22, it's totally worth it. It works really well as a 1st step cleansing oil. It cleanses away makeup and impurities easily and I'd say it's on par with my Shiseido cleansing oil. You can use it to cleanse eye makeup as well, but I prefer to use a separate eye makeup cleanser. I'm just used to doing it that way. It's got a nice fruity/floral scent that I like, it's not overwhelming but you definitely know it's there. Once the product is washed off, the scent disappears too. You will have to play around with the cleanser to get the right amount each scoop. The first couple of times I used this product, I always scooped too much. Now, I've got it right and it's about a good amount every time (with the occasional slight too much lol). A fresh scoop of the balm. I especially love this product because it's not as messy as other cleansing oils. Simply scoop out the product and it 'melts' into an abundant amount of oil to use. Even for the Shiseido cleansing oil, which comes with a pump, it can get messy. 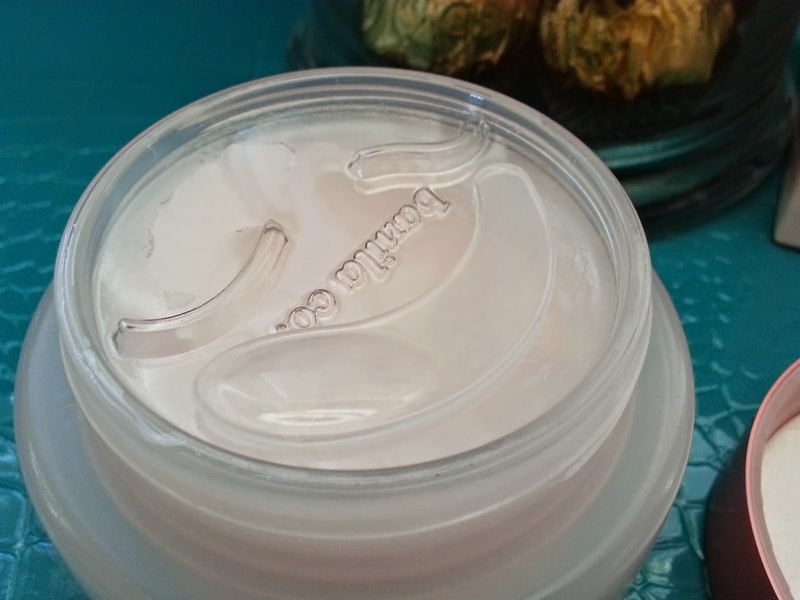 I use this cleansing balm even on days when I don't wear makeup. Because the skin collects environmental impurities during the day and I wear sunscreen when I'm not wearing makeup. 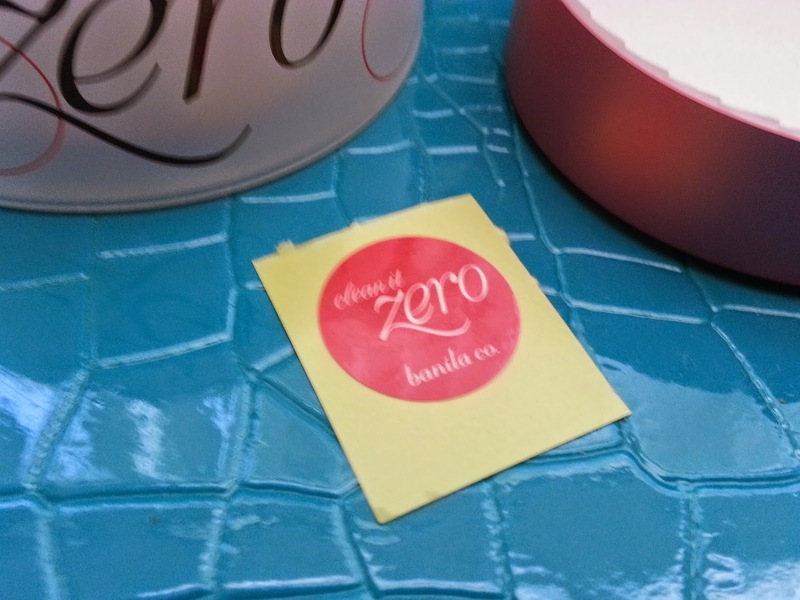 The Banila Co. Clean It Zero balm works great at removing both sunscreen as well as impurities. 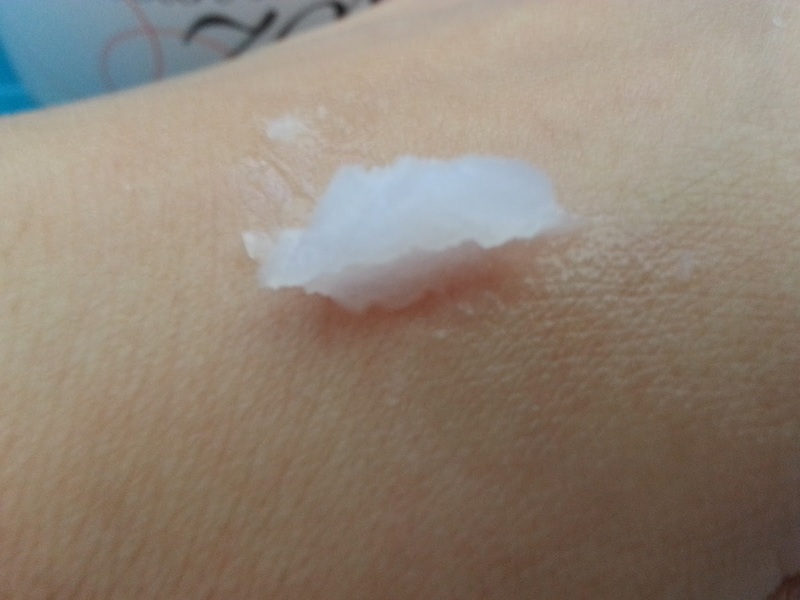 Balm turns into oil after light massaging. For best results, apply a little bit of water to the face after you've massaged the balm on the face. This will emulsify the oil and turn the water and oil into a milky mixture. After that just rinse away the mixture and the face will be clean and clear and ready for step 2 of the double cleanse method. Would I purchase this product in the future? Heck yes! With so many pros such as it's wonderful formula that cleanse makeup and impurities without striping the skin and its no-mess and easy application, it's totally worth the $22. Clean It Zero's unique sherbet texture makes it fun too, almost like an experiment. I do miss using my Shiseido cleansing oil some times, but the occasional mess is not missed at all. Once in a while I'd use my Shiseido cleansing oil but for now, the Banila Co. Clean It Zero has claimed 1st place in my double cleanse routine. If you'd like to try this product, you can purchase it at Peach and Lily for $18 or at Yesstyle for $21. New to Peach and Lily or Yesstle? Check out my discount & codes page to save on your first purchase. Disclaimer: This product was purchased by me. All opinions are honest and my own. This post contains affiliate link, our full disclaimer here. This sounds like a great product. Everybody seems to like it.